Home / News / Balkan / SEHA 2018/2019: Zlatko Horvat MVP, Manolo Cadenas best coach! SEHA 2018/2019: Zlatko Horvat MVP, Manolo Cadenas best coach! 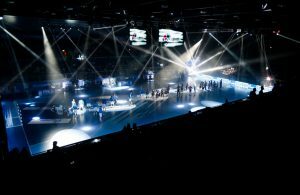 Captains of ten clubs participating in the eighth SEHA – Gazprom League season found themselves in the roles of the jury. They have selected the best seven players in the regular part of the season, and considering the competition, their task was not easy at all. Apart from the Best 7, take a look at our MVP, best defensive player and the best coach, all from the perspective of our excellent captains! All chosen players, as well as the coach, come from clubs that earned a place at the final tournament of the 2018/19 season of the SEHA – Gazprom League. That is why we don’t have any doubts that these individuals really are the best. Because of the fantastic competition, the choices were difficult, and it was very close. 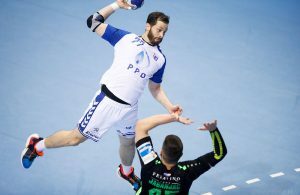 Next Story → Strong PSG Handball put Montpellier on -6! RK Vardar win SEHA Gazprom title for the fifth time!